As many of you already know, I am into cryptocurrency portfolio building. I strongly believe that if you are going to be in cryptocurrency, you should be in it for the long-term. Neither do I believe that those things should be the primary focus in making money in crypto. Perhaps a secondary or tertiary focus at best. A solid portfolio should be your number one. At present, I am in Arbitraging and that is it. I have no interest in anything else in the space. Arbitraging, as a secondary interest and investment, has shown the most promise and is actually generating passive income. I do not know how sustainable it is. What I do know is that the CEO David Peterson has been proactive and transparent. One cannot say that for most of the platforms in the space. The Dev Teams run in stealth mode and do not show their faces or provide their names. As players in this space, I believe we all should demand a higher standard with regards transparency. The Zcash team is building a “light wallet” prototype which will let other developers make payment wallets and apps for mobile phones. Zcash has the best technology and team in the privacy space. Unlike most teams in crypto, they continue to execute. As a VC, this is one of the single biggest data points in who will succeed in the long term. I expect Zcash to become one of the top cryptos in the future. This is a plus. However, there is always a downside to things. The downside here is that the governments could panic and ban privacy coins. Every day, more financial institutions get comfortable with privacy coins. And as more and more financial institutions get on board, the chance of an outright ban decreases. This is why the Zcash team is working closely with Wall Street to bring their technology to the mainstream. Monero recently had a big upgrade. It released “Beryllium Bullet.” (Bulletproofs)This upgrade greatly reduces the size of the code and expense for sending Monero transactions. “Beryllium Bullet.” (Bulletproofs) is a more efficient way to prove a transaction is what it says it is ― without revealing the details of a transaction. Within the upgrade, Monero uses something called “ring signatures”, which bundle transactions and decoys together so you don’t know what’s what. That’s a lot of heavy code ― and a great way to keep it all private. 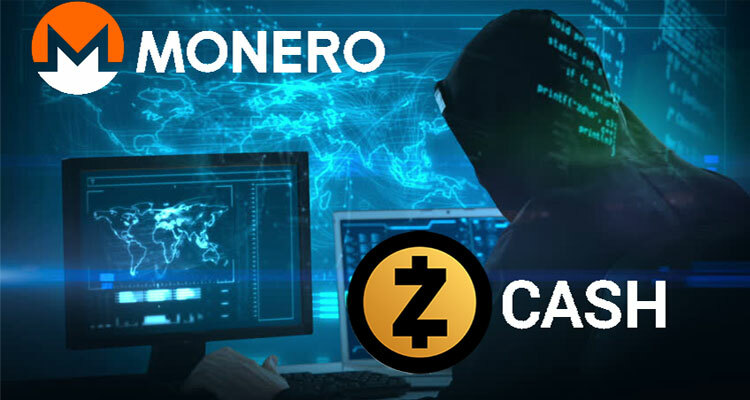 Unlike Zcash, which I believe is going to see mainstream adoption, Monero will be used by more by seasoned crypto holders. And since it isn’t centralized, it will continue to be used and rise in price over time. If I were you – and, I am not – I would add these cryptos to my portfolio while we are in a bear/buyers market. If you already hold these cryptos, get more of them. Never spend all your cash in one dip. The name of the game is patience and discipline. I look at the whole market, determine what the best opportunities are, and buy a little each time.